Here we are at the end of 30 recipes. It took a bit longer than expected. Honestly, there was a ton more cooking in the kitchen and other methods that didn't pan out. There were also a lot of learnings not just about cooking but about creating which I will share soon. 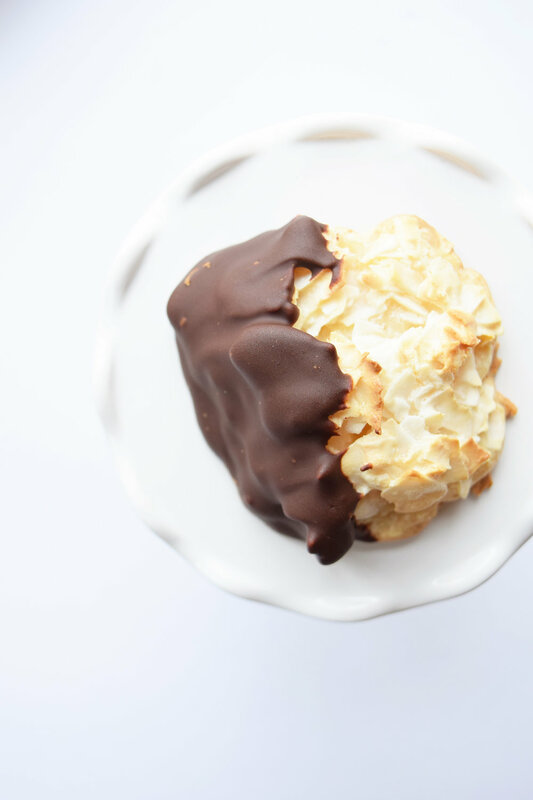 In the meantime, this Coconut Macaroon recipe is quick to mix up, comfortable, and delightful. It's a classic. Step 1: Preheat the oven to 325 degrees and line a baking sheet with parchment paper. Step 2: In a large mixing bowl, stir together the flour and coconut. Add the sweetened condensed milk and vanilla and mix together with the flour and coconut. Step 3: Using a small cookie scoop or large spoon, drop the dough onto the sheet. Make sure they are approximately 2 inches apart. Bake for 15 min or until golden. Remove from oven and immediately transfer the cookies to a wire rack to cool. Step 4: In a medium microwavable bowl, add the chocolate chips and the coconut oil. 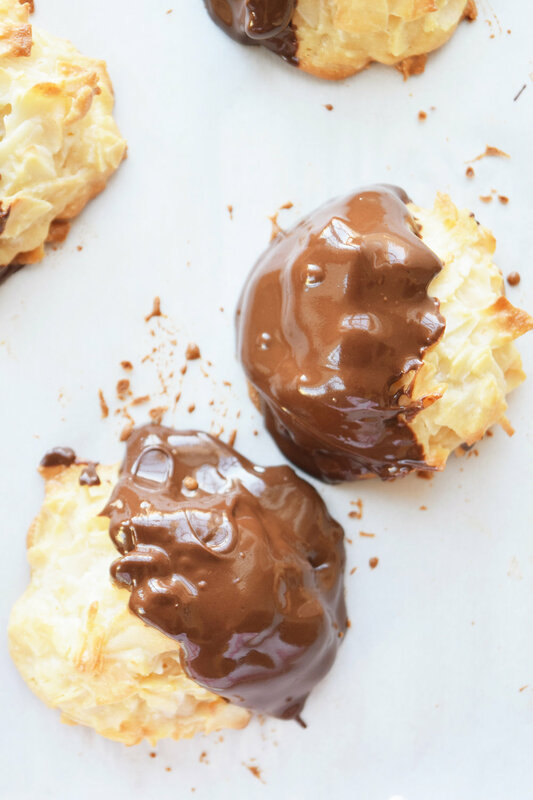 Heat in 15-second intervals, stirring every 15 seconds, until the chocolate is smooth. 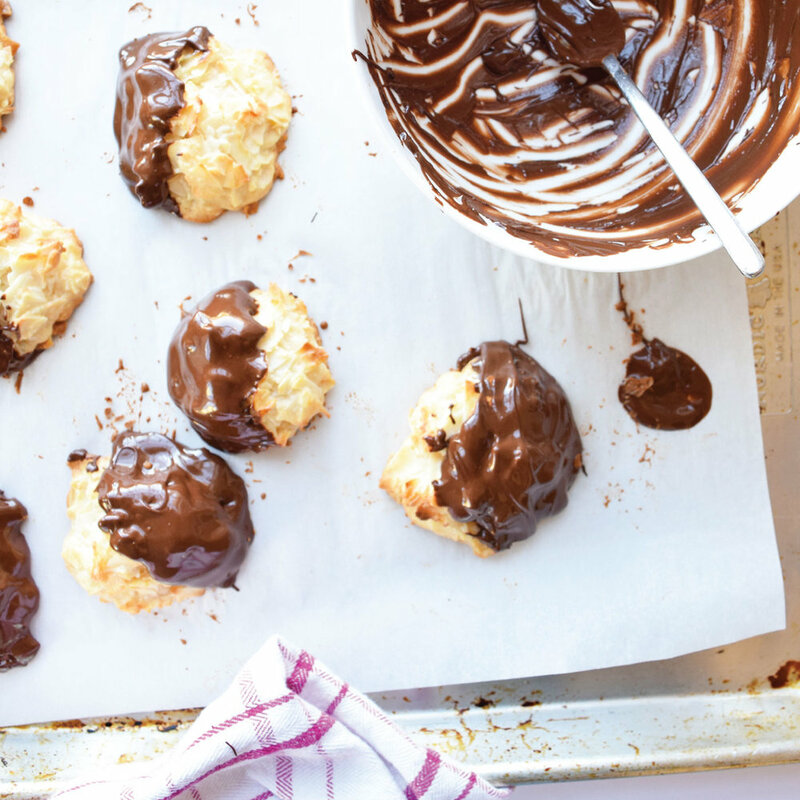 Dip the cookies in the chocolate or drizzle the chocolate on top with a spoon. Let dry and enjoy. Now, let's go eat some cookies!